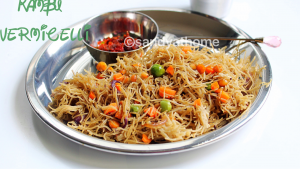 Kambu semiya upma/ Kambu vermicelli upma is a healthy and quick to make delicious recipe that can be served for breakfast. Kambu/ Bajra/ Sajjalu also known as pearl millet is rich in minerals, serves as excellent source of protein and has high amounts of iron content. 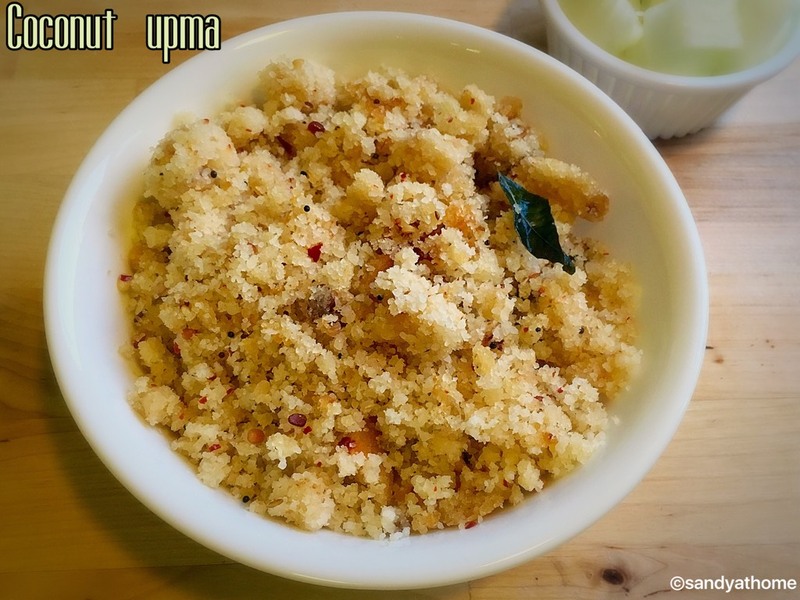 So much goodness in one millet which can be incorporated in our diet in the form of upma. Thanks “ANIL BRAND” for introducing such innovative products as it makes life super easy. Yes kambu/ bajra is present in the recipe in the form of vermicelli / semiya all we need to do is just cook and relish it. 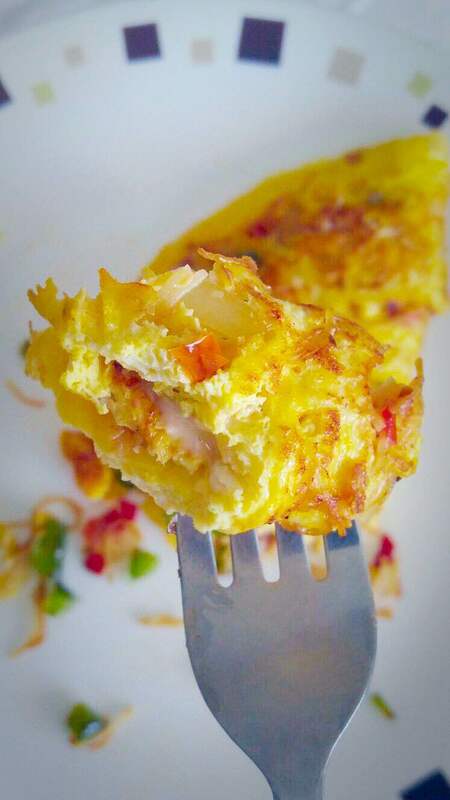 Not much time consuming yet delicious and nutritious breakfast can be prepared in jiffy. I prepared both sweet and savory dish the same day so used small portion of the steamed semiya for sweet recipe which I shall post the following week. I followed the instructions given in the back of the packet to steam, kindly read your packet instruction properly before proceeding as it can vary according to brand. This upma can be served with any chutney or pickle. So lets get to the making! Slice onions thin, make a slit in green chilli and chop carrot. Keep it aside. 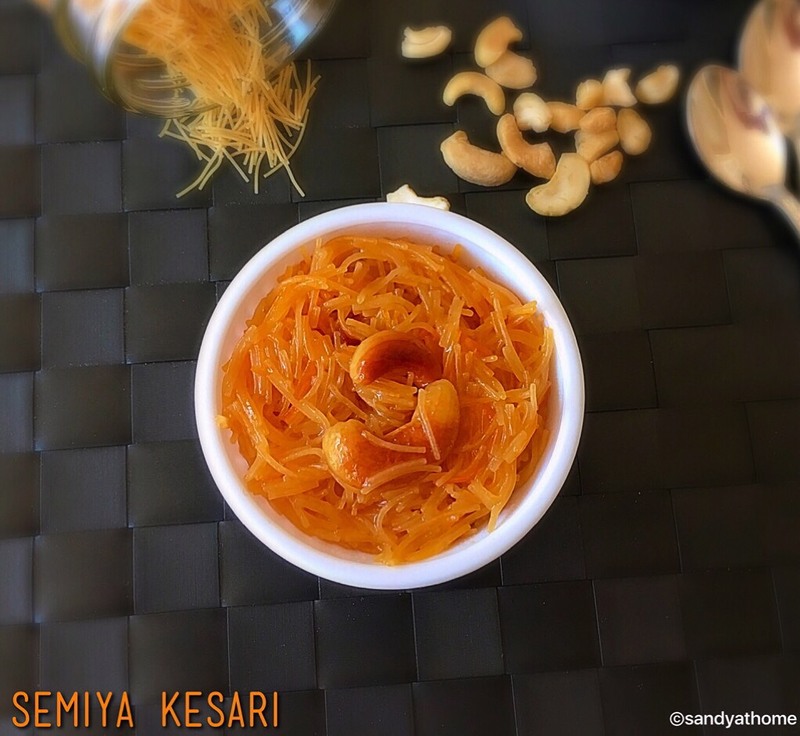 In a bowl add kambu vermicelli/ semiya. Add water just to immerse semiya. Allow the semiya to soak in water for 3 minutes. After 3 minutes transfer the semiya to greased plate and steam it for 6 to 8 minutes. After 6 to 8 minutes take steamed vermicelli out of the steamer and allow it to cool down. When the vermicelli has cooled a bit make sure they do not stick to each other. Gently fluff it with hands or fork. 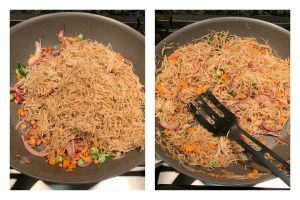 I divided vermicelli into 2 portions to make both sweet n savory version. 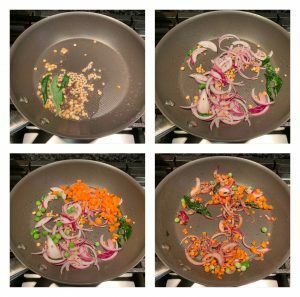 Now for savory version heat oil in a pan add mustard seeds, after it splutters add urad dal and channa dal, when it turns golden brown add curry leaves, chopped onion and green chilli. Saute well. Now add chopped carrot, peas and salt. Mix well and saute all the veggies. 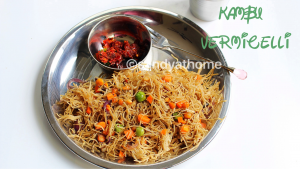 When the veggies look sauteed add steamed kambu vermicelli. Toss well. When everything looks combined put off the flame and serve it hot with chutney and sambar. 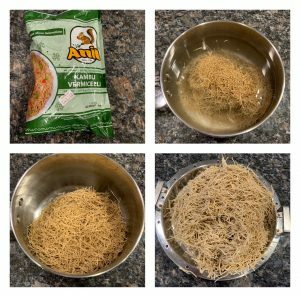 In a bowl add kambu vermicelli/ semiya. Add water just to immerse semiya. Allow the semiya to soak in water for 3 minutes. If you soak for more time it will get soggy. Meanwhile heat water in idli steamer and grease the steaming plate with few drops of oil. After 3 minutes transfer the semiya to greased plate. Steam it for 6 to 8 minutes. 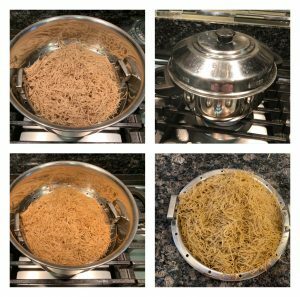 After 6 to 8 minutes take steamed vermicelli out of the steamer and allow it to cool down. When the vermicelli has cooled a bit make sure they do not stick to each other. Gently fluff it with hands or fork. I divided vermicelli into 2 portions to make both sweet n savory version. Slice onions thin, make a slit in green chilli and chop carrot. Keep the veggies aside. Now for savory version heat oil in a pan add mustard seeds, after it splutters add urad dal and channa dal, when it turns golden brown add curry leaves, chopped onion and green chilli. Saute well. Now add chopped carrot, peas and salt. Mix well and saute all the veggies.